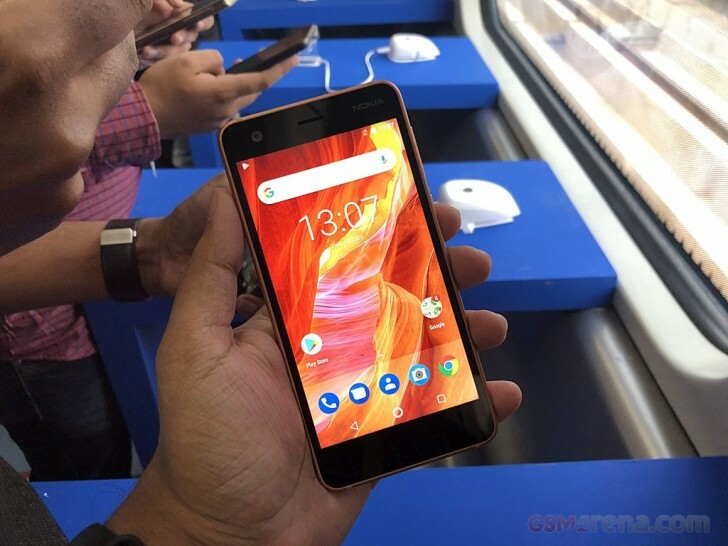 The Nokia 2 became official at the end of October as HMD Global’s entry-level Android smartphone model – its cheapest yet. The device has already landed in Russia and South Africa, and it looks like the US is among the next batch of countries to receive it. Today the Nokia 2 has gone up for pre-order at online retailers such as Amazon, B&H, and Best Buy. Regardless of where you buy from, the phone will set you back a cool $99. Of course you’re receiving an unlocked unit, but keep in mind that it’s only compatible with GSM-based carriers such as AT&T and T-Mobile (and the various MVNOs which use their networks). The device will not work on Sprint or Verizon, unfortunately. Still, it makes a decent back-up smartphone, especially when you factor in battery life – the Nokia 2 comes with a huge 4,100 mAh cell. Otherwise it’s understandably low-end given the price, sporting a 5-inch 720p display, 1GB of RAM, 8GB of expandable storage, and the Snapdragon 212 chipset. The main camera is an 8 MP unit with LED flash, while for selfies you get a 5 MP sensor. The release date for the Nokia 2 isn’t yet mentioned by any of the retailers taking pre-orders, so we’re left guessing on that front. Hopefully this will be made clear soon.